I liken the degree of trust between individuals in an organization to a bank account. There is a current balance of trust that is the result of hundreds of transactions (deposits and withdrawals) that occur between individuals on a daily basis. In my analogy, it is easy to make small deposits in the account. For example, doing what you said you were going to do is a small deposit in trust. Praising another person is another way to make a small deposit. Large deposits are more difficult to make because they often require a special circumstance. For example, if I go into your burning house to save your dog, that is a huge trust deposit because I risked my life to retrieve something of value to you. Making withdrawals, either large or small, is just as easy as the deposits. I call it “The Ratchet Effect,” when someone who had built up a large balance in the trust account wipes it out with a single major withdrawal. In this article I will share some observations on how trust withdrawals spread like the ripples in a still pond when you drop a stone in it. A withdrawal is usually between individuals, although it is possible to make a withdrawal with several individuals with a single action. Let me use an example of a withdrawal to illustrate my point. Suppose you are a manager of a group, and there is a need to appoint a new supervisor to work under you. You have asked several group members to interview candidate supervisors and make a recommendation. They spend a week interviewing five potential candidates: two internal to the organization, and three outside resources. The team comes back with a firm recommendation that Sally, one of the internal candidates, is by far the best match for the job. This puts you in a no win situation because your boss is demanding you appoint Mark, his son-in-law, from outside the organization. You make an announcement that Mark will fill the vacant slot, and the entire workforce is very upset. They believe your willingness to have them interview candidates was just window dressing, and you knew all along who would be selected. In reality, until your boss spoke up yesterday, you also would have selected Sally for the promotion. Your boss demanded that you not tell anyone why you selected Mark or you would lose your position. What happens is a loss of trust for you on the part of most individuals on the team, but that is not the end of the damage in this case. Without the ability for you to explain that the choice was out of your hands, but you did not know that until late in the process, the problem becomes bigger. The upset individuals will freely express their lack of trust in you. There will also be an undertow of resentment on the part of Sally, which may cause behaviors that lower her future potential. The ripple effect will carry over as Mark tries to gain credibility as the new supervisor. People will undermine every effort he makes regardless of his skill or sincerity. Your boss is going to be suspect, even though you do not tell people directly that Mark was his choice, not yours. Blatant nepotism is easy to spot, and people will figure out the connection quickly through online searches. You will be blamed for allowing it to occur. Now the rumor mill picks up the chant, and the damage begins to spread throughout the organization and beyond. Incidentally, your sin usually grows in severity as the rumors persist. You may never know the extent of the compromise to your reputation from a single situation. It is vital to watch the body language of people with whom you interface to identify when something is wrong but they are not telling you overtly. You will sense a certain coolness and loss of eye contact. You may observe more side conversations than usual. When you see signs of a change in attitude toward you, it is important to stop and ask questions until you get to the bottom of the issue. Usually you can get at least one person to open up in private about what others are saying. In this example, your hands were tied in terms of what you can say, but there is still the ability to observe people and ask questions. Then you can take some prudent mitigating actions as early as possible to preserve as much trust as you can. 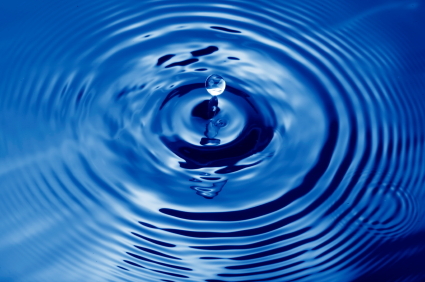 By taking humble corrective actions near the time of an infraction, you can prevent the ripples from spreading. This entry was posted on Saturday, August 10th, 2013 at 5:44 am and is filed under Candor creates trust, Communications, Enabling Actions, HR, leadership, Organization, Trust, Trust and respect. You can follow any responses to this entry through the RSS 2.0 feed. You can leave a response, or trackback from your own site. Hello blogger, do you monetize your thetrustambassador.com ?